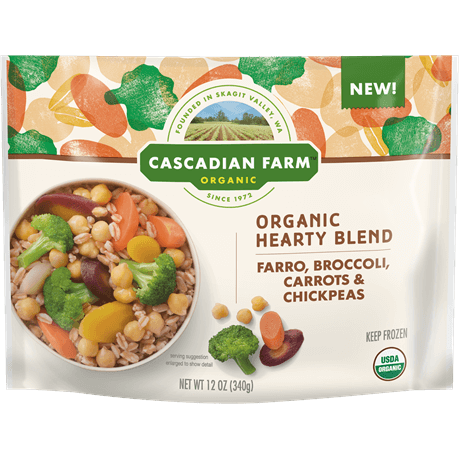 This Cascadian Farm™ blend is the perfect starter for a black bean burrito bowl chock-full of brown rice, vegetables and finished with fresh toppings. In 10-inch nonstick skillet, heat oil over medium heat. Add onion, garlic, chili powder, cumin and salt; cook 3 minutes, stirring occasionally. Add frozen rice blend and water. Cover; cook 6 to 9 minutes, stirring occasionally, until thoroughly cooked. Divide among serving bowls; top with tomatoes, avocado, cheese and cilantro. Season with salt and pepper, if desired. Try with other toppings, like cooked shredded chicken, sour cream, green onions and lime wedges. Want to add some spice? Serve with your favorite hot sauce, or top with sliced jalapeños.